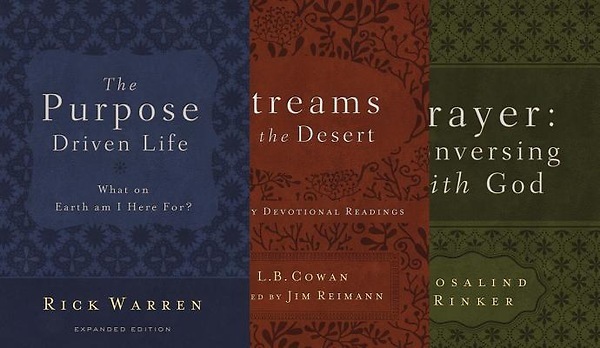 This special edition gift set brings together three of the most influential works for Christian readers, including Purpose Driven Life by Rick Warren, Streams in the Desert by L.B. Cowman, and Prayer: Conversing with God by Rosalind Rinker. 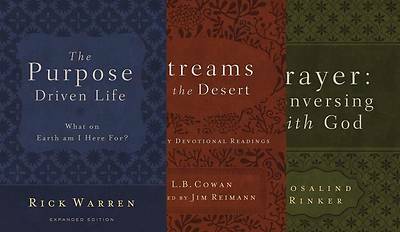 Inspiring and timeless, The Christian Inspirational Classic Collection makes a perfect gift. Winner of the Gold Medallion Book Award and Christian Book of the Year Award, and translated into over 50 languages, The Purpose Driven Life is far more than just a book; it is a guide to a spiritual journey that has transformed millions of lives. Few books ever attain such a widespread recognition and perennial appeal as Streams in the Desert. Now nearly ninety years since its first publication, this devotional has established itself firmly in the ranks of the Christian classics. Nearly one million readers have discovered this fresh and inspiring guide to the joys of talking with God and making their prayer life more effective.